HIOX India is one of the leading web hosting and domain registration service provider in India since 2004. HIOX India offers cheap website hosting solutions and cheap domain registration service from small to enterprise level business to make their online identity. All the hosting and website registration plans at Hiox India are cost effective, reliable with high-performance servers. Each of the web hosting plans at HIOX India comes with email, FTP, and sub-domains.They even offer custom hosting plans according to the clients requirements. HIOX India offers cheap domain registration service along with cheap Linux & Windows hosting services for the startups, and Shared, Reseller, VPS, and Dedicated server hosting plans for large scale business professionals. Choose from any of their variety of hosting plans to boost your business growth online through your website. cPanel is a graphical web-based control panel that helps the user to manage or control the website. It assist the web owners and the servers to have control over their properties. It is designed to function either as a dedicated server or virtual private server. It can be easily customized to perform according to your needs. HIOX India provides cheap web hosting in India along with enterprise class customized hosting solutions to businesses and individuals worldwide. Their deep experience as a web hosting and domain registration company, they provide you with scalable cheap hosting services that promise clients with exceptional performance and unmatched value. With Hioxindia hosting services you could feel the uninterrupted service with latest technology in web hosting. Their technical specialist are there for 24x7 and all 365 days to assist you with all aspect of your website hosting and domain registration experience. They do assists you via Live Chat, Phone Calls and Emails for any Web Hosting and Domain Registration related queries. HIOX India is one of the oldest web hosting and domain registration company operating since 2004 from India. They provide very cheap domain registration service and very cheap hosting services to other smallcompanies in India. Their price is unbelievably low and very cheap price so it makes us to think that is it reliable web hosting company ? As of today October 2017, HIOX India provides .com domain plus 10 GB web hosting for rupees 699 rupees per year. This is unbelievably low price when anyone sales for such a low price it is impossible for them to provider quality support, even you cant provide any support for this price. 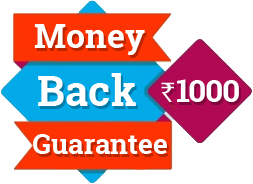 Nowadays customers expect quality support from any web hosting company but for this price even providing a Basic support is not possible, so this raises the doubt on trustworthiness of this company. The .com domain price is about 600 to 700 rupees in India now but HIOX India for provides .com price + unlimited hosting for rupees 900. So this is not possible to provide for this price such a low price when you provide anything for such a low price it makes you to think that this is a kind of or fraud or not possible. We believe that from hosting review that if you want to provide a quality service you need to sell it for a decent price. But selling for a throw away price is nothing but a cheating the customers. They are also into various hosting services such as hardware hosting, VPS hosting and Java Web hosting. They have hosting customers from various countries like India, Canada, USA and Singapore. We have visited the website to check the support level and we have tried to call the given phone number in the support system even after many rings there is no person to attend the technical call. Though we are not a customer of HIOX India just we tried calling support numbers mentioned in the website, we are not able to connect. It is not really healthy sign when you do not pick up your customer called and provide good support. HIOX india is always the best choice for me because of the outstanding support. I will refer my friends to you guys. Excellent service at affordable prices. Cool one. No issues for me till now. Will confidently refer to others. You can find better hosting company than HIOX India. Their packages are costlier compared to another web hosting companies. Their cPanel is difficult to use. I am depressed with HIOX India services due to lots of issues with my websites. It is good to avoid HIOX India. Fast response by HIOX India. Very good answers by their support team. HIOX India offers many features with their hosting packages. Their support team is very responsive and they are ready to hear all kind of issues faced by me and provide a solution for it. Overall a good services. My experience in HIOX India is good. My business is developed a lot after hosting my website from their services. I would like to appreciate their customer team for the best services. They have helped me with several things that I couldn't have finished myself. I would suggest HIOX India to my business friends. Their services are not so good, their are not providing a proper security. They are not able to understand my problems, their support team are not even ready to listen to my problems. Don't go for HIOX because they do not have an efficient technical support team.And every time there will be some or the other issue. After using this provider my business was running loss so now I have to change the server and now it is doing great. HIOX India they provide at the low price its true but their support is not up to that level. I had a complaint that my website has been hacked, and when I contacted their support team, they were not capable of stopping that and was demanding more price to set right. I had a bad experience with this provider. DO NOT USE!! 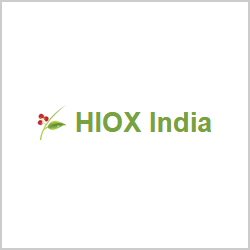 HIOX India. Response to technical support tickets is horrible. The reason to submit the tickets would be something else and the reply would be entirely different. Their technicians doesn't have a knowledge of a K'G student.